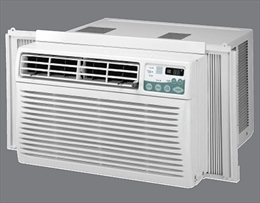 A window AC is available in various sizes and capacities. To select one of them, you have to measure the dimensions of your room and therefore purchase one that is enough to cool the room. If the room is open to an additional area, such as through an arch or open doorway, include the extended area in calculation of the room size. Beside this also consider the position of the room. If it is located close to the kitchen and or has many windows that make way for the sunlight to get in, then you will have to add some BTUs on account of these. If the room is going to be occupied by more than two people, it is better to increase the BTUs a bit. Most units are meant to fit in double-hung windows, but there are models designed for casement windows as well. 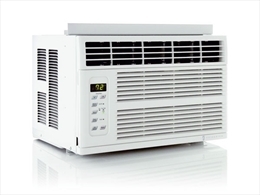 The efficiency of the AC also has to be considered before buying a unit. The EER (energy efficiency rating) ranges from 8 to 11.5. However it is better to buy one with a rating above 10 as these are best for saving electricity. The highly efficient units feature digital temperature controls, variable fan speeds and sleep settings, which are designed to conserve power. Take enough precaution when lifting the unit out of the carton. Window units could be quite heavy. Take the help of a friend or relative. They should not fall on the ground which can cause irreparable damages. Installing a window A/c in double hung window is very simple. You will need to assemble the unit first. Some units come already assembled. Buy a support brace or bracket and install it according to the instructions. There are many options available in brackets these days. All you have to is take the measurement of the window and buy one that will be most suitable for it. If you live on the first floor, you arrange for some other support to support the machine from the ground. If you do not want brackets, keep proper screws and braces to secure the unit to the window. Never just slap the unit into the window opening and walk away. Carefully place the unit on the window sill. Raise the lower pane and slide in the machine to fill up the reply windows space. Now look at the manufacture’s manual. Some unit should slope a bit towards the exterior side to allow drainage of the condensate. All models would not need titling for drainage. Now place the unit on the brackets. Lower the panes on the unit to secure it in place. Now secure the extension of the window jamb. Once all this is done seal the unit in place. Use weather-stripping provided by the manufacturer to fill gaps. At the exterior caulk can be used at the edges as a good seal. Openings can be closed with plywood. When you select a window for your window cooler, make sure that there is an electric panel close by to plug it on. If you don’t have one, ask an electrician to install one for you. Also ensure that the unit is clear of obstruction on both the inside and outside. 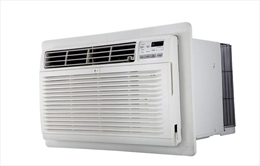 If your AC is fitted in your bedroom that you do not use in the day time, you can enjoy the cool air of the air conditioner in other rooms as well. If your living space is just outside the bed room, you can keep fan at the bedroom door that will propel the cool air into the living room. These units draw lots of power when on operation. So do not use the same panel to which you have connected you A/c for connecting other high-energy appliances—refrigerators, dryers, vacuums. Clean the filter at least twice a year to maintain maximum energy efficiency.